The number of patients admitted and discharged from U.S. hospitals for abuse of opioid pain medication has declined significantly this decade, while the abuse of heroin and illicit fentanyl has surged, according to a new study that documents the shifting nature of the nation’s overdose crisis. 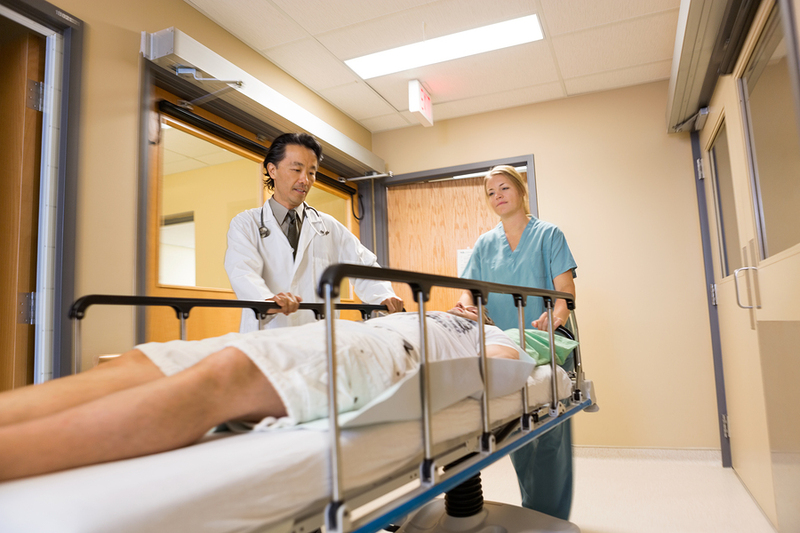 Researchers at Stanford University analyzed national trends in hospital inpatient and emergency department (ED) discharges for opioid abuse, dependence and poisoning from 1997 to 2014, the last year data was available. They found that hospital admissions for overdoses from pain medication started falling in 2010, the same year that opioid prescriptions began declining. At the same time, hospital discharge rates for heroin poisoning increased at an annual rate of over 31 percent. By 2014, heroin overdoses exceeded those from prescription opioids in emergency rooms by almost a 2 to 1 margin. “After 2008, ED discharge rates for heroin poisoning increased more sharply than the rates for any opioid poisoning -- signaling that the scope of heroin harm is worse than previously suggested -- while discharges for prescription opioid poisoning recently began to decline in both the ED and inpatient settings,” researchers reported in the journal Health Affairs. The findings add evidence to recent public health concerns that people misusing or addicted to prescription opioids are switching to heroin and synthetic opioids such as fentanyl because they are cheaper and easier to get. "This suggests that the expanded availability of lethal illicit drugs are being used to replace prescription opioids in some cases," said Tina Hernandez-Boussard, PhD, associate professor of medicine, of biomedical data sciences and of surgery at Stanford University School of Medicine. The Centers for Disease Control and Prevention has been reluctant to admit that efforts to reduce opioid prescribing could be backfiring, although their own statistics indicate otherwise. Deaths involving heroin and synthetic opioids overtook overdoses linked to prescription opioids in 2016, the same year the CDC released its opioid prescribing guidelines. As PNN has reported, the CDC last week launched a public awareness campaign to combat the abuse of prescription opioids, a marketing effort driven by surveys and focus groups that completely ignores the scourge of heroin and illicit fentanyl. “The campaign does not include messages about heroin. Specificity is a best practice in communication, and the Rx Awareness campaign messaging focuses on the critical issue of prescription opioids. Given the broad target audience, focusing on prescription opioids avoids diluting the campaign messaging. Heroin is a related topic that also needs formative research and message testing,” the CDC explained. The Stanford study found that discharge rates for prescription opioid poisonings declined annually by about 5 percent from 2010 to 2014, while discharge rates for heroin poisoning increased at an annual rate of 31.4 percent from 2008 to 2014. The trend has likely worsened since 2014, as heroin and illicit fentanyl are even more widely available on the black market. Anna Lembke, MD, an associate professor of psychiatry at Stanford and a board member of Physicians for Responsible Opioid Prescribing (PROP), says she has no doubt many people addicted to prescription opioids have switched to using heroin or illicit fentanyl. "My patients have told me that's exactly what they did," said Lembke. "Heroin was cheaper and easier to get."